Snow-capped ranges, emerald-hued glacier lakes, forested valleys, and sophisticated cities make for a grand tour of Western Canada. The land tour is also an opportunity to experience Canada’s golden age of trans-continental travel. As the nation began to move west, the Canadian Pacific and Canadian National railways drew on grand inspiration — a Loire Valley chateau, a Scottish baronial, a gentlemen’s hunting lodge — to create distinctive mountain destinations and city hotels. 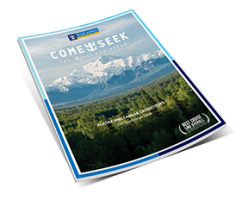 Select nights of the Canada land tour offer a stay at the Fairmont Hotels & Resorts, as well as other fine Hotels. Banff is home to the most awe-inspiring scenery in the Canadian Rockies. After a tour of Banff’s most picturesque lookouts, board the Banff Gondola and enjoy a ride up Sulphur Mountain – don’t forget your camera to capture the panoramic mountain vistas. 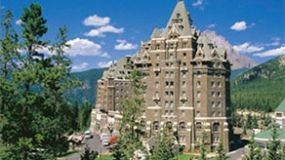 FAIRMONT BANFF SPRINGS — A designated National Historical Site of Canada, this majestic castle entrances guests and park visitors alike. One of Canada’s biggest and fastest growing cities, Calgary is well-known for its rugged frontier spirit, but it’s also becoming a mecca of arts and culture. Enjoy sightseeing, shopping, and an ascent to the top of the Calgary Tower for incredible views. 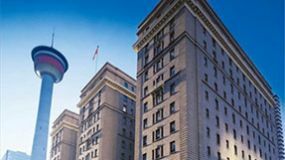 FAIRMONT PALLISER — A historical landmark in downtown Calgary that has welcomed royalty and celebrities from around the world. A nature lover’s dream, Jasper National Park is one of Canada’s largest collections of national treasures: lakes, mountains, forests, and valleys. This low-key mountain town offers exceptional dining and endless outdoor activities for those looking to get in touch with their surroundings. 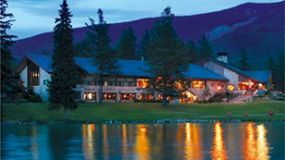 FAIRMONT JASPER PARK LODGE — One of Canada’s only authentic grand lodges to survive into the 21st century. Cedar chalets and heritage log cabins form a village-style lakefront resort. Internationally recognized for its stunning turquoise blue waters at the base of majestic mountains, Lake Louise was once known as Emerald Lake. Today, it’s one of Canada’s best-loved destinations, and has come to be known as “The Jewel of the Rockies”. 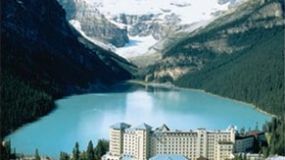 FAIRMONT CHATEAU LAKE LOUISE — From humble origins as a small summer cabin, this mountain resort has long welcomed outdoor enthusiasts thanks to its unrivaled location and luxury services. Canada’s third-largest city is an exciting blend of cultures, neighborhoods, and must-see sights. Stroll the historic Gastown district, spend an afternoon exploring Stanley Park, relax on the beaches of English Bay, or ride to the top of the Lookout Tower for unmatched views. 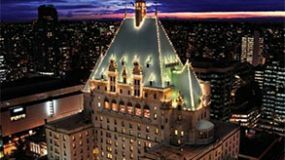 FAIRMONT HOTEL VANCOUVER — This grand hotel known as “The Castle in the City” was inaugurated in 1939 in time for the Royal visit of King George VI and Queen Elizabeth. This historic and picturesque city lives up to its name, with a distinctly Victorian flair at every turn. Discover Butchart Gardens, a botanical garden that’s home to more than one million plants in a formal garden setting, and don’t forget to enjoy a classic high tea after exploring the historic downtown district. 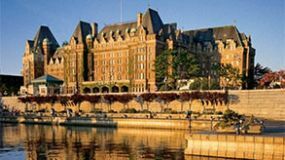 FAIRMONT EMPRESS — In an unrivaled location overlooking Victoria’s harbor, this grande dame epitomizes Edwardian style and serves a world-renowned afternoon tea.